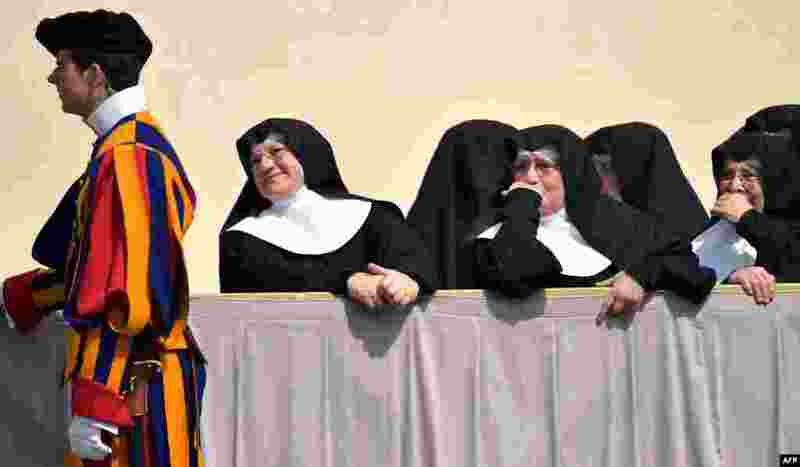 1 Nuns stand at St. Peter's Square at the Vatican at the end of the Pope's weekly general audience. 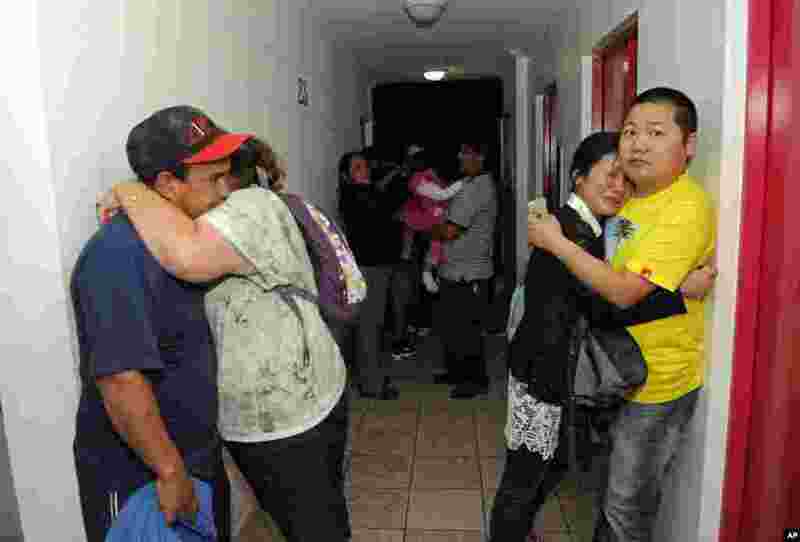 2 People embrace on the upper floor of an apartment building located a few blocks from the coast where they gathered to avoid a possible tsunami after a powerful magnitude-8.2 in Iquique, Chile, Apr. 1, 2014. 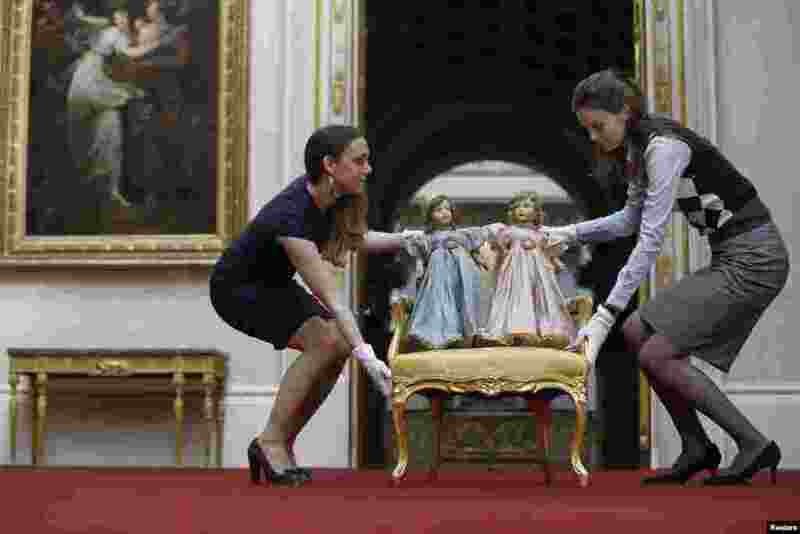 4 Exhibition curator Anna Reynolds (L) poses with a pair of Parisian dolls belonging to Britain's Queen Elizabeth (left doll) and her sister Princess Margaret, at Buckingham Palace in London. Toys and childhood outfits belonging to the royal family will form part of an exhibition "Royal Childhood" during the summer opening of Buckingham Palace from Jul. 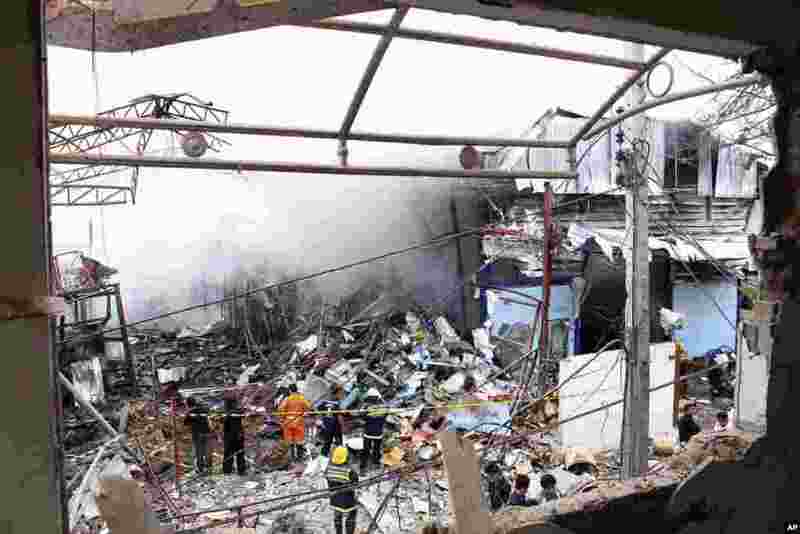 26 - Sept. 28, 2014.